Welcome to the sixth edition of the ‘new and improved’ Dam Distance Race. New and Improved again for 2019, as sailing dinghies will be eligible to compete. Traditionally, this race has brought the very casual racers and the non racers together for a semi-structured sailing experience, not so loose as individual day sailing, but not so formal as Keelboat or Centerboard Fleet racing. The 2019 edition is an attempt to tweak the ‘old’ distance race concept by leaning a little more towards the ‘race’ aspect (on the water), and including the all-important post-race party (on shore). We want to provide the fun of friendly competition without the anxieties of the cut-throat sailing often associated with formal racing. And we are going to provide a written guide (“The Beginner’s Guide”) that will explain to you how to understand, participate in, and hopefully enjoy, this low key race, The Dam Distance Race. You should notice two distinctions in the event title. First: This is a “distance” event. We plan to have boats out on the lake most of the day. The event starts earlier than most Club races and may continue as late as (on the water) 17:00. Second: This is a “race”. The boats will have to correctly start, pass certain government buoys on a specified side of the boat, pass those buoys in a particular order, and finish correctly. Boats will be ranked 1st, 2nd, 3d, and so on. There will be winners and, well…, not winners. Notwithstanding the previous statement, this race is somewhat different than what the WCSC Keelboat Fleet does. The race organizers (Allison and Rick) are attempting to ‘soften’ traditional sailboat racing so that novice and non racer can enjoy competition without the more-rigorous aspects of traditional windward/leeward buoy racing. The major difference is the start. It is our belief that the start of a sailboat race is the cause of greatest anxiety for the novice/non racer. We certainly felt that way when we began racing years ago. I mean, come on, all the boats want to be in the same place at the same time! That can’t be what Chapman’s calls “seaman-like”. Racers can mostly manage this (starting) because they understand (mostly) the somewhat-intricate rules. Cruisers and day sailors are wise to be apprehensive! However, the Dam Distance Race is going to use what is called a pursuit start. Slower boats will start sooner than faster boats. How much sooner is determined by the boat’s rating. The organizers will distribute a table that tells each boat at what time they can start. In this manner, the starting line shouldn’t be crowded with the entire fleet at the start, as there actually are many starts. In fact, other than two boats having the same rating, each boat will have her own starting time. There are two additional perks with a pursuit start race. At the end of their race, boats are scored in the order of their finish. If you cross the finish line ahead of another boat, you beat her! You don’t have to wait till after the race is over for RC (the Race Committee) to calculate the corrected times. Some may call this instant gratification. Some may call this “I kicked your…” As I was saying, the other perk of the pursuit start race is that the fleet will likely finish the race at near the same time. This allows everyone to get back to the Club for the most important aspect of sailboat racing: the post-race party. A beverage (or two) enhances the re telling of antics witnessed on the race course. We are making a point of having a post-race gathering for this event. A day of racing is fun, but even more fun is a day of racing followed by the camaraderie of the racers having drinks and dinner. To that end, the Club is providing a grilled chicken dinner and you are providing your own beverages (cocktails). Cool prizes will be awarded to the top three finishers in both the racer division and the non-racer division. Registration is now open and will close on 17 April. 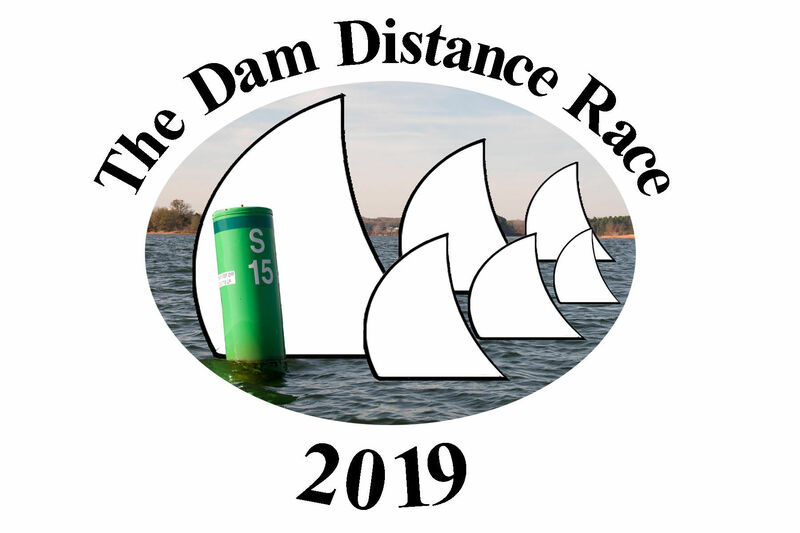 Click here to access the Dam Distance Race Information Page where you can find all the documents that further describe the event. We hope to see you there. We welcome questions, comments, or conversation.